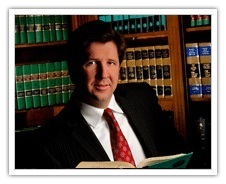 Published on: July 3, 2014 | J. Bradley Smith, Esq. An old client of mine called me yesterday to report some exciting news: the truth was setting him free. He had been accused of a crime. The police called him and asked him to talk. He did, then he called me. I told him the last thing he should do is talk to the police. When they called asking him to take a lie-detector test, he told them he would exercise his 5th Amendment right to remain silent. Good for him. A few days later, a police officer called to tell him the prosecutor didn’t think there was enough evidence to charge him. “It’s not over,” I told him. “Just because they don’t have enough evidence now doesn’t mean they won’t gather more evidence and charge you later,” I said. I repeated the ages-old advice from criminal lawyers to clients: Silence is golden. Many clients of mine – and most people in general – fail to grasp the complexity inherent in how and why people are charged with crimes. In some cases, it seems like the government is in a rush to hold someone accountable for a crime, while in other cases the plodding, methodical conduct of law enforcement and prosecutors drives a justice-hungry public crazy. In the Trayvon Martin case, for instance, law enforcement and prosecutors were criticized initially for doing nothing. Then, after George Zimmerman was acquitted, they were paradoxically accused of “overcharging” him. The same dynamic played out in the Casey Anthony case a few years earlier. An angry public demanded action, then when it got it, it was disappointed with the result. Now the whole world’s attention is focused not on Florida but on a familiar stretch of Interstate 77 in Charlotte. On the stretch, on Sunday, June 30, motorists recorded an individual clinging to the back of a white sedan as it sped up the highway. Witnesses said the man punched through the back window of the car with a sharp object. By Tuesday, after video of the scene had flashed around the world, police told the Charlotte Observer they had identified the people involved. They said the incident began as a domestic dispute at a shoe store. Police described the woman driving the white sedan as the victim in the incident. Believe it or not, this is not Charlotte’s first incident of this kind. In 2009, Cincinnati Bengals wide-receiver Chris Henry was killed after falling off the back of a pickup truck driven by his fiancé. She had fled from Henry after a domestic dispute, but he followed, leaping onto the back of the truck as she sped away. Henry suffered a fatal head injury after falling onto Oakdale Road in west Charlotte. Henry’s fiancé was not charged. What does that mean for Charlotte’s latest internet superstars? Just because the police haven’t charged anyone yet, doesn’t mean they never will. When and if they do, based on what they’ve said so far, you might be surprised with who they choose to charge with a crime. If you’ve been accused of or charged with a crime, call me to set up an appointment today. Don’t wait for the powers-that-be to decide your fate. Get ahead of the curve and take control. Let my team of experienced criminal defense professionals assist you. Can a person be convicted of a crime even if he did not know what he was doing was a crime?